Chicago hosted the 2017 North American Climate Summit, bringing together Mayors from the U.S., Canada and Mexico to articulate commitments to the Paris Agreement and recognize the impact cities can have in the fight against climate change. 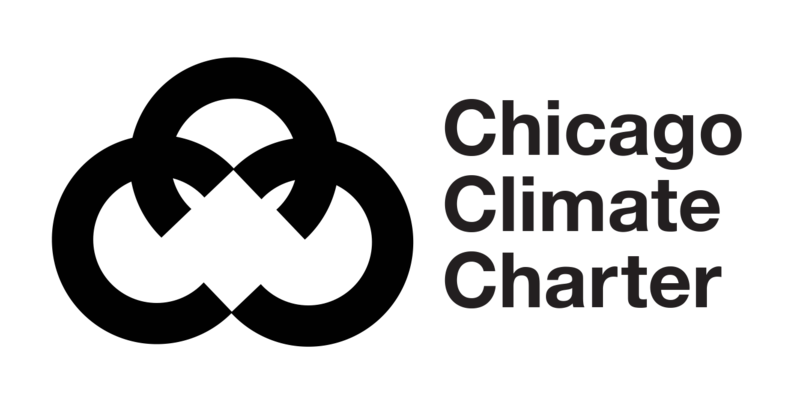 Mayors, add your name to the Chicago Climate Charter, a first-of-its-kind international charter on climate change. On December 4-6, 2017, Chicago Mayor Rahm Emanuel held the North American Climate Summit in concert with the Global Covenant of Mayors for Climate and Energy partners, bringing together leaders from the U.S., Canada and Mexico to sign the Chicago Climate Charter and commit to addressing climate change at the local level. A highlight of the Summit was the 5th annual 2017 C40 Cities Bloomberg Philanthropies Awards luncheon. The ceremony celebrated mayors and cities undertaking the most ambitious and innovative projects to tackle climate change. Given the increasingly important role cities must play in driving climate action in the United States, the Awards had a special focus on the leadership of U.S. cities on the global stage. Mayors gathered for the Summit were invited to make commitments to move forward with significant emissions reductions regardless of action taken by their respective federal governments. Working together, we harnessed existing climate goals and created a regional roadmap for climate leadership. Read the press release for more info on the 2017 North American Climate Summit. View a copy of the Chicago Climate Charter. “That’s what leadership means, and it will make a difference.” President Obama spoke to mayors and municipal leaders from around the world who were gathered in Chicago at the North American Climate Summit. Paris Mayor Anne Hidalgo is Chair of C40 Cities Climate Leadership Group and a Board Member of the Global Covenant of Mayors for Climate and Energy. After co-hosting the Climate Summit for Local Leaders in 2015 with Michael Bloomberg, the UN Secretary-General’s Special Envoy for Cities and Climate Change, she was elected as the new Chair of C40 Cities, the leading network of the 91 most important cities in the world committed to addressing climate change. Austin Mayor Steve Adler took office in January 2015 and has focused on tackling Austin’s mobility and affordability issues. He developed and recently passed the city’s largest transportation bond ever, the Smart Corridor plan. Mayor Adler has been a consistent voice for investing in a clean, sustainable future and for climate action. Guadalajara Mayor Enrique Alfaro Ramírez has promoted and worked to enact numerous policies and actions to mitigate climate change and its effects during his time in office. Guadalajara is currently in the process of fulfilling the goals of their Local Climate Change Policy and registering their carbon footprint, pledging to reduce CO2 emissions by 40% by 2030. Mexico City Mayor Mancera has promoted sustainable development, mobility, revitalization of public spaces, and combating climate change as a priority of government. In 2013 he launched the first Mobility Program of Mexico City, giving priority to pedestrians, cyclists and public transport. In 2014 Mayor Mancera launched Mexico City’s Climate Action Program 2014-2020, which aims to mitigate 10M tons of CO2Eq and reduce the vulnerability of 5.6 million inhabitants that are exposed to the impacts of climate change in the City. San Francisco Mayor Lee is among 270 U.S. mayors to commit to the Paris Agreement. Under his leadership, San Francisco exceeded its greenhouse gas emission reduction goal two years ahead of schedule, achieving a 28% reduction from 1990 levels as the city’s population and economic activity continue to rise. Mayor Lee also set a goal to have a 50% renewable electricity supply by 2020, and 100% by 2030, among the most ambitious in the country. Vancouver Mayor Robertson is a Board member of the Global Covenant of Mayors for Climate and Energy and a national advocate for urban issues, focusing on housing, transit, and the transition to a low-carbon economy based on high-growth sectors like digital media, clean technology, and renewable energy. Under Mayor Robertson’s leadership, Vancouver now has Canada’s fastest growing, greenest, and most resilient economy, proving that going green is good for business. Discussion on how urban-centric technology and climate strategies can be leveraged to meet the intentions of the Paris Accord. All Tuesday events will be held at the Sheraton Grand Hotel. Cities are engaged, and ready to take decisive action. By signing the Chicago Climate Charter, Mayors in the region are addressing climate action at the local level by committing to reduce emissions while expanding economic opportunity and quality of life. Many local leaders will also make aggressive individual commitments for their respective cities. The awards ceremony will celebrate mayors and cities undertaking the most ambitious and innovative projects to tackle climate change. Given the increasingly important role cities must play in driving climate action in the United States, the 2017 C40 Cities Bloomberg Philanthropies Awards will have a special focus on the leadership of U.S. cities on the global stage. Across America, states, cities, businesses, universities, and citizens are taking action to fight climate change, grow the economy, and protect public health. Led by California Governor Jerry Brown and former Mayor of New York City Michael Bloomberg, America’s Pledge aims to showcase this collective momentum on climate change, and to ensure that in the absence of federal leadership, the United States remains a global leader in reducing emissions and delivers on the country’s ambitious climate goals of the Paris Agreement. For press inquiries regarding the summit, contact Lauren.Markowitz@CityofChicago.org. For press inquiries specific to the C40 Awards, contact media@C40.org. Join Mayors from the United States, continent and world to find new ways to deliver on the goals of the Paris Agreement, improve our environment and better our communities. "Now, more than ever, cities are leading on bold and innovative initiatives that not only reduce our carbon footprint but also help develop a 21st century economy."